National Athletic Training Month is held every March to spread awareness about the important work of Athletic Trainers. 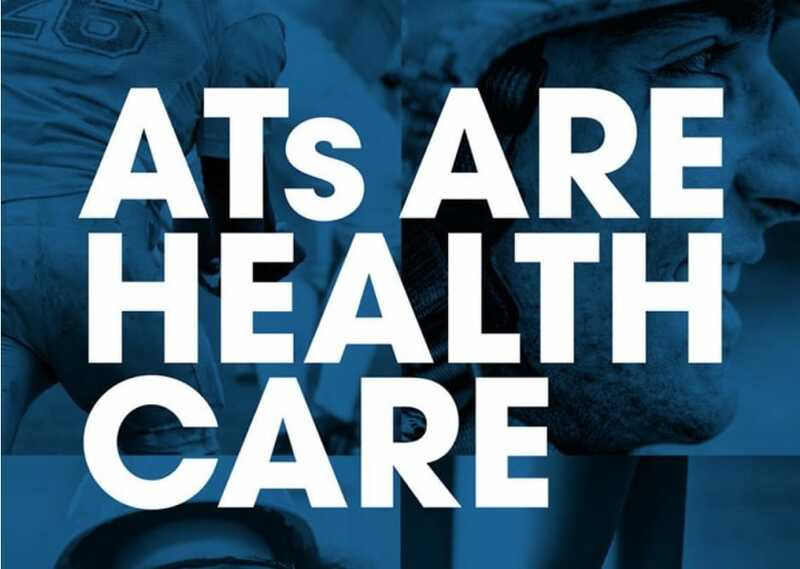 The 2019 National Athletic Training Month theme – ATs Are Health Care – provides an opportunity to shed light on the many contributions Athletic Trainers have made, and continue to make, in areas such as research, innovation, and patient care. Contributions that cross a variety of settings – from sports to the military – throughout the U.S. and abroad. National Athletic Training Month is a special time of the year, during which we all align around one consistent message to celebrate athletic trainers and elucidate the significant contributions they have made to advance patient care. It is an opportunity for all Athletic Trainers and their advocates to celebrate and look toward the future of the profession. We sat down with Colorado Rapids Youth Soccer Club Head Athletic Trainer, Julie Graves, to learn more. I love the relational aspect of being an Athletic Trainer. I’ve been doing Athletic Training since I was a freshman in high school and it was then that I realized how important it is to build a trusting relationship with my athletes so that they are comfortable and feel safe when coming to me about an injury. Seeing an athlete return to the sport they love after an injury brings me a lot of joy. Knowing I had a role in that and giving the families an advocate, makes it all worth it. At the club level, all of my athletes are in school until the afternoon, so I use the morning to do my administrative duties, research, meetings, follow up, etc. Then my appointments start around 2:30 PM, so that I can help diagnose athletes and guide them through the next steps of care. You’ve helped a lot of injured players. What’s your favorite success story? When I was working at the college level, I had a football player who played almost an entire game with a broken neck. It wasn’t until he came to me near the very end of the game saying his neck hurt. Long story short, it was a clean break with no nerve/spinal cord damage and he had a full recovery with no complications. What’s the most important advice you give your athletes? There’s only so much Athletic Trainers, Personal Trainers, Coaches, PT’s, etc. can do for the athlete, so I educate parents and athletes alike on the importance of taking care of your body outside of practice/training sessions. Proper nutrition, preventative treatment, and body rejuvenation is key to being as successful as you can on the field and getting to that next level. If you could go anywhere in the world, right this minute, where would you go? Bora Bora! I have always wanted to stay in one of those bungalows over the crisp blue water enjoying the relaxation, sunshine, and beautiful views. Find out more about the CRYSC Sports Medicine Program by visiting our website. For any question or concerns related to sports medicine or athletic training, please reach out to the CRYSC Head Athletic Trainer, Julie Graves, at julie.graves@rapidsyouthsoccer.org.